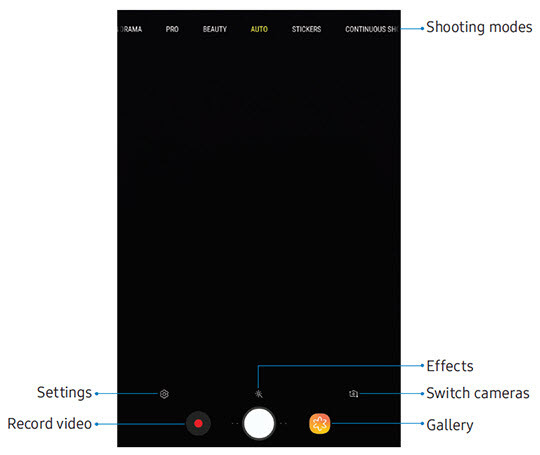 For additional camera settings, refer to page 45 of the user guide. From a Home screen, tap Camera (at the bottom). If not available, swipe up or down from the center of the display then tap Camera. 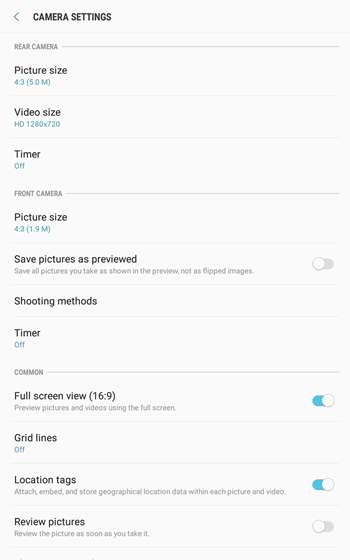 From the Default screen, swipe right or left to access shooting modes. Tap the Record icon to start recording video. Add or remove filters from your pictures. View saved pictures and videos. SD card (only available if a memory card is inserted).